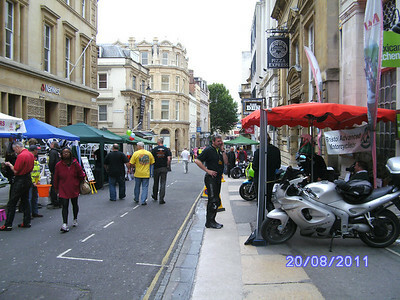 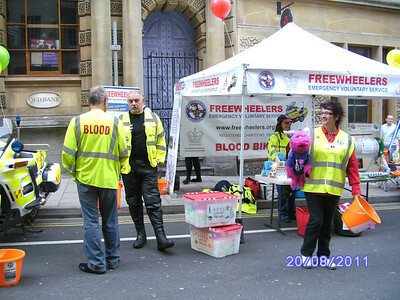 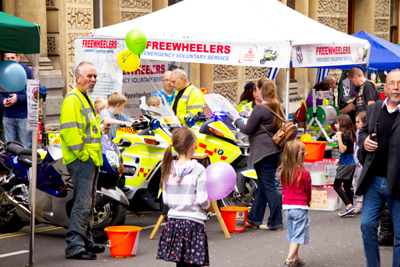 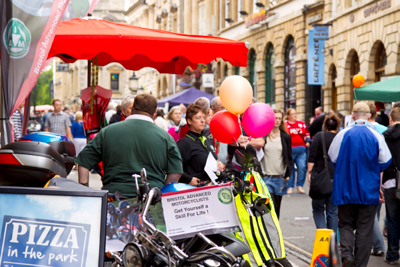 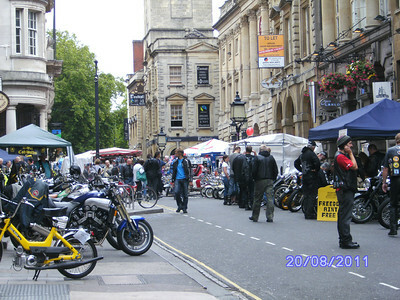 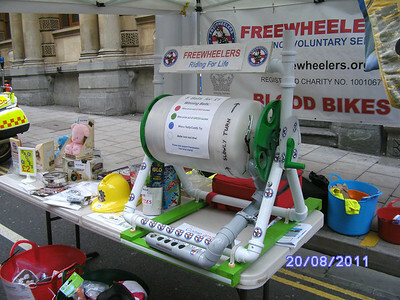 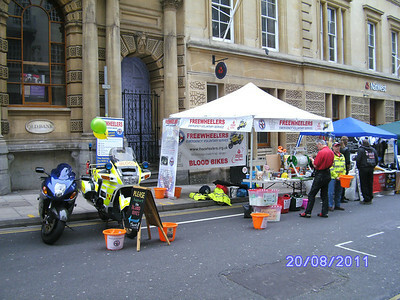 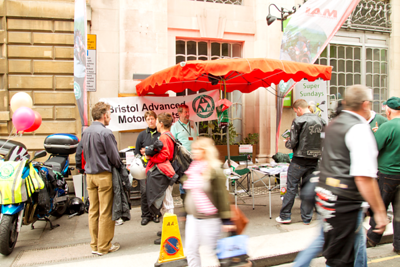 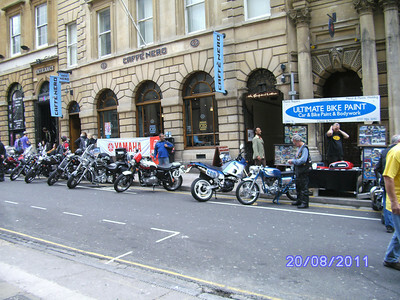 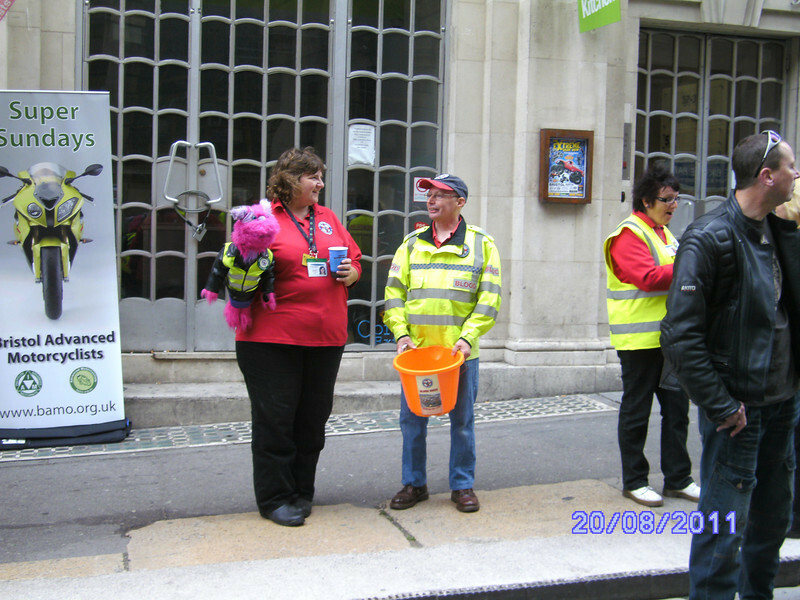 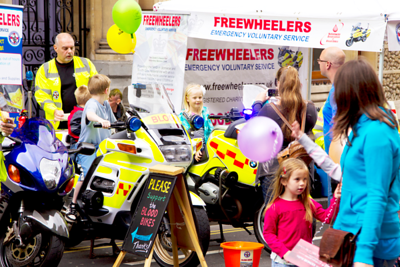 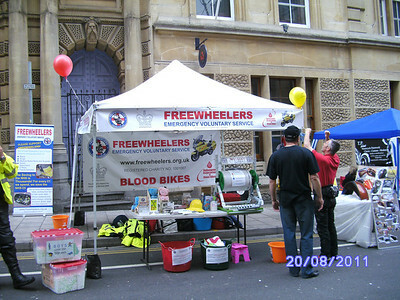 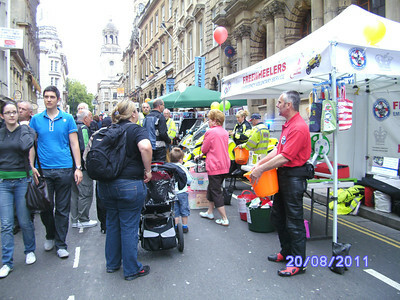 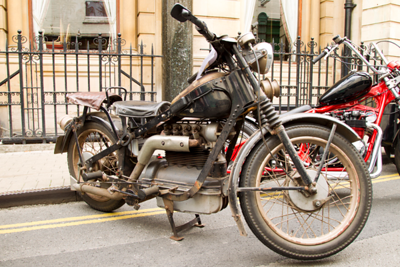 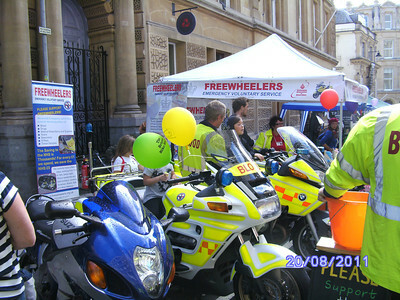 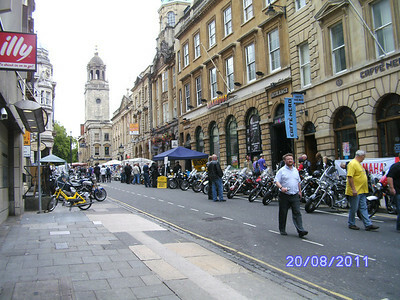 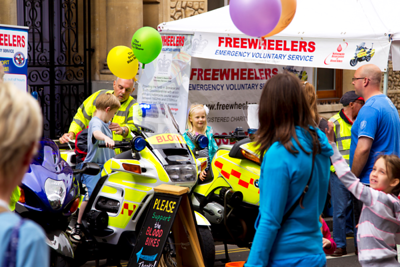 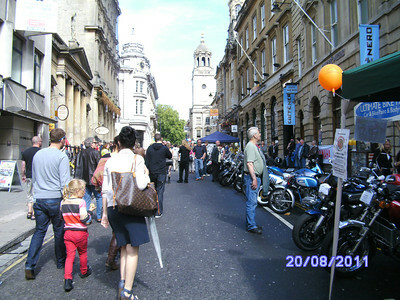 Once again Freewheelers attended the annual Bristol Bike Show in Corn Street and surrounding roads on Saturday 20th August 2011. 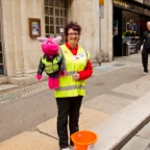 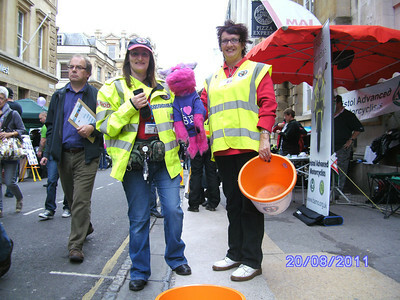 We raised a grand total of £434.74, thanks to all the volunteers who came along to help! 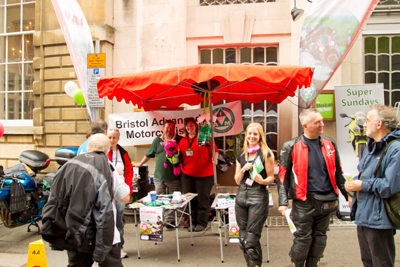 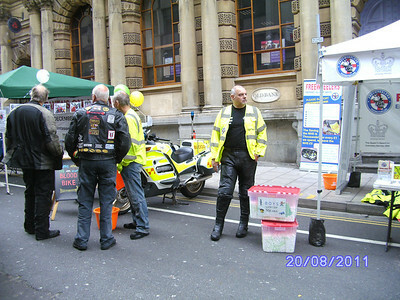 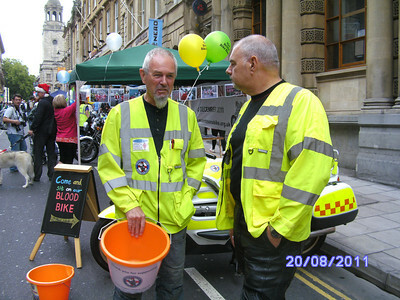 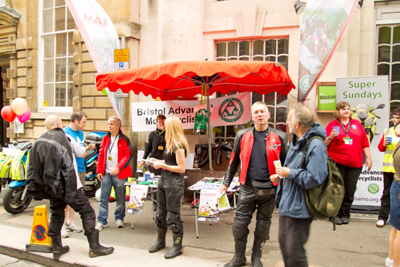 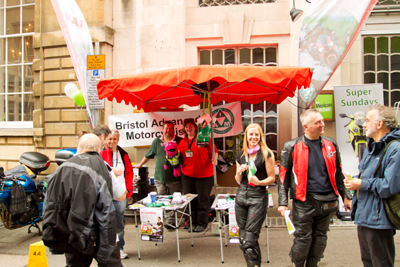 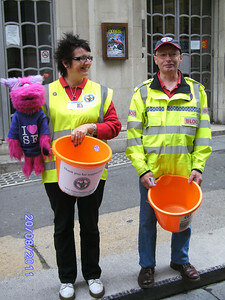 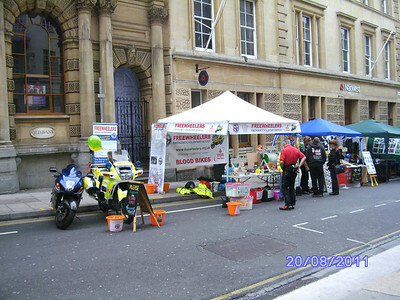 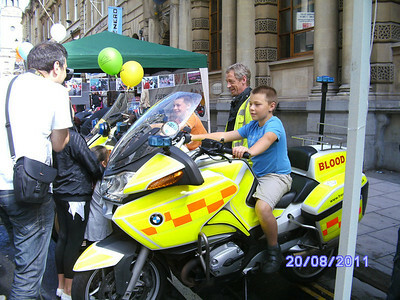 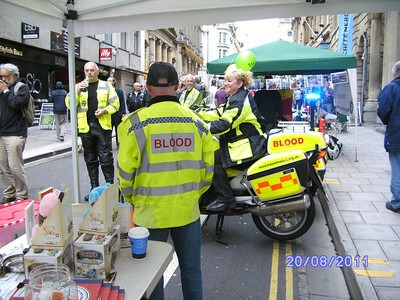 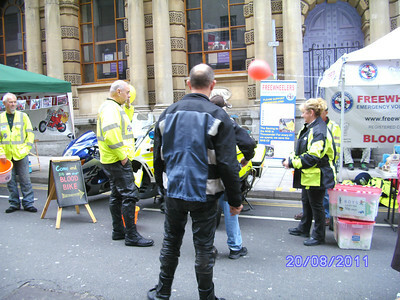 Our colleagues from BAM (Bristol Advanced Motorcyclists) were also there, having a stand opposite.